The Westminster Floor Globe has a refined presence that complements formal surroundings. The detailed legs and base are finished with a dark cherry stain. Other features include colorful land masses with raised relief, antique oceans and a full meridian. 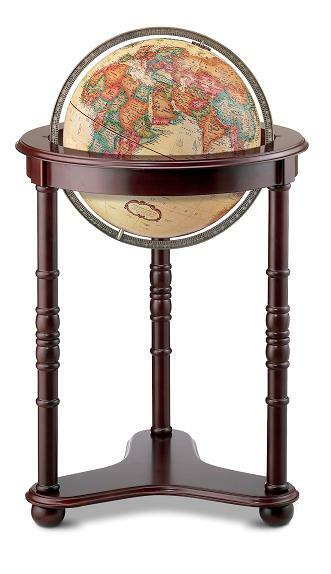 Replogle's Westminster Floor Globe is backed by a one-year warranty.